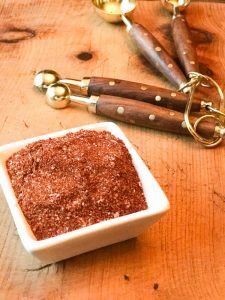 Chili rubs are among my favorite seasoning blends with which to cook. I really love the rounded flavors that chilis bring to cooking. When people think of chili powders, chili rubs or chilis in general, the first thought that comes to mind is hot and spicy. I do like a little heat in my food (operative word is little!) Most of the time, a chili rub will have some spice or heat. However, they bring an earthiness, a smokiness, or even some savory notes to dishes. Yes, I have a bottle of seasoning in my pantry that is just marked “chili powder.” Unashamedly, I use it often. I also have many types of dried chilis and chili powders that I use to bring out certain nuances in dishes. I say this, not because you will need a pantry full of chilis for this recipe, but rather to encourage you to explore some of the many different varieties available. This is a quick recipe for a chili rub. I do not consider it spicy, but everyone has a different tolerance for spice. In general, I consider myself on the wimpy side of spice lovers. If you like things spicy you may want to add some hotter chilis. I made this recipe as a quick spice blend for cooking pork chops. However, I think it works great on chicken or even some veggies as well. 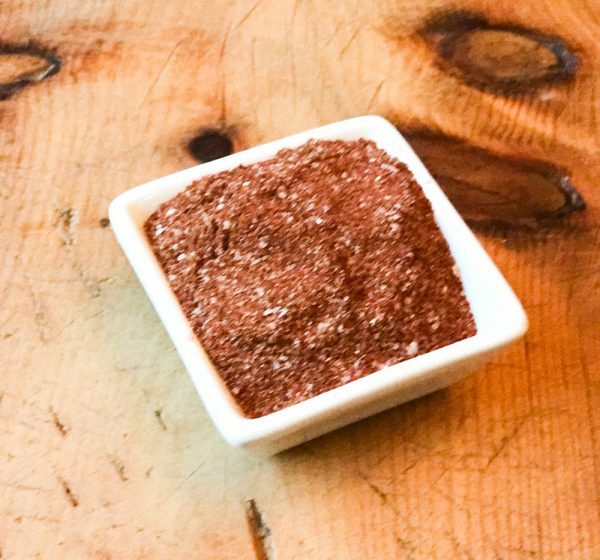 This quick chili rub is perfect to add some rich flavors to grilled pork chops, chicken breasts or even veggies on the grill! 1/2 tsp chipotle powder or cayenne. Add all ingredients to a mixing bowl and stir until incorporated.